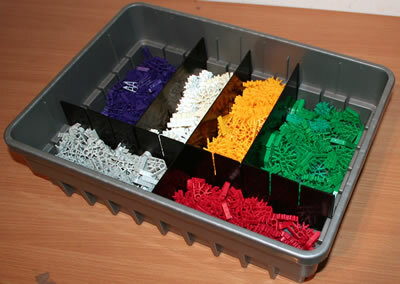 There are a number of motors that are designed to be attached to models built using K'NEX bricks. 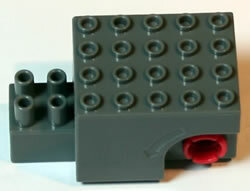 The first type is the K'NEX Brick Battery motor, such as the motors shown in the photo on the right, and the photo immediately below. These motors require 2 AA batteries (not supplied). 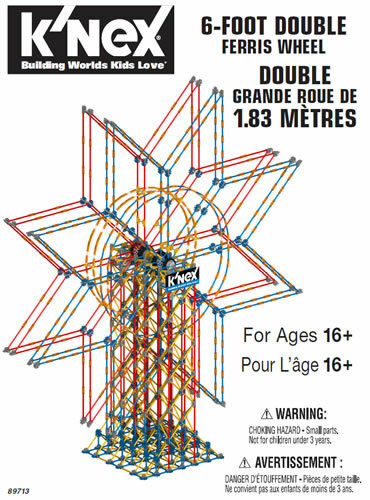 Classic K'NEX wheels such as the 91174 Racing wheel 37mm may be fitted directly onto the axles on this type of motor. 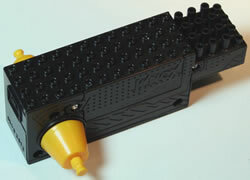 To insert batteries into any Brick battery motor, first use a small Phillips-head screwdriver to loosen the screw. 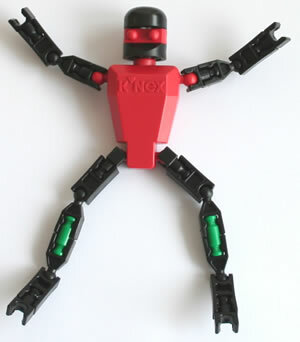 The second type of motor is the K'NEX Spring motor, such as the one shown in the photo opposite. 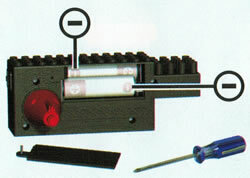 This is operated by pushing a classic K'NEX rod through the hole, turning the rod against the direction of the arrow to wind up the spring, and then letting go. Of the two types of motor, the Battery motor is best if you want a more powerful motor operating at low speed. The Spring motor is best if you want a fast motor to power a very light model.